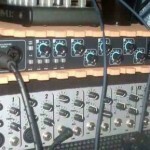 Tags: Audio interface for recording, Gear related reviews and tutorials. This is a tutorial on how to use and understand the Focusrite Saffire Pro 40 from a user perspective. Take note that this tutorial can be applied to other Focusrite audio interfaces because they have similar mix control layouts and features. How to get the mix control? By default, mix control is available after complete installation of the Focusrite drivers. The drivers are usually installed before you will be hooking Saffire Pro40 to your computer firewire port. This is a standard procedure to prevent malfunction, damage or abnormal operation of your audio interface. First, you need to fully install Saffire Pro 40 in your computer. If you have already installed Saffire Pro 40, you can go directly to the mix control tutorial section. This tutorial lists the actual events for installation and configuration of Focusrite Saffire Pro40 in Windows XP operating system Service Pack 3. I then install this card in one of the available PCI slots. 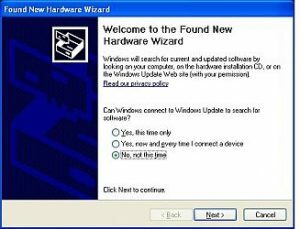 I boot and automatically Windows XP recognizes the hardware and automatically install the necessary Firewire drivers. I confirmed this by going to Start – Run and then typing devmgmt.msc. This is the shortcut to the Windows device manager. In there, I can see that the Firewire has been installed and working (see IEEE 1394 Bus controllers). The Firewire chip is actually made from Texas Instruments which is one of the recommended Firewire chips by Focusrite. It is important to use the recommended chips to avoid incompatibility issues. On the other hand, if you have a laptop check if you have a built in Firewire port. If not make sure the laptops’ comes with a PCMCIA slot, and then buy a Firewire express card. Most netbooks (those with around 10 inches screen) today are not equipped with an additional PCMCIA slot. 1.) Go to Start –Control Panel – Add or Remove Programs. 2.) I select “Soundblaster Audigy” then proceed to uninstall this software driver. I also uninstall the entire Creative Software bundle. Just select “restart later” when all software uninstallation are complete. 3.) When all drivers and software are uninstalled, shutdown your computer. Open the case and remove the PCI soundcard device. 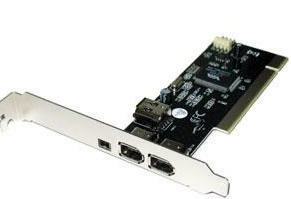 Be careful when removing the PCI soundcard because it can affect other devices installed. 4.) After removing the PCI device from the motherboard, boot into Windows XP and pause into the motherboard bios. You need to disable the onboard audio device. For details, please refer to your motherboard manual. 5.) Finally after booting into Windows, there is no other WDM audio device running. Saffire pro 40 is based on ASIO which offers a lower latency when monitoring and recording. Read this post illustrating the differences between ASIO and WDM. 1.) Do not yet connect your Saffire Pro40 via the Firewire slot of your computer. 2.) Insert the installer CD and run the installer to proceed with installation of the drivers. After confirming successful installation, shut down your computer. 4.) Power on your Saffire pro40 as well as your nearfield monitors (but don’t switch the volume to maximum). 5.) Power on your computer, it should now recognize the Saffire pro 40 as the sound device in both playback and recording of your Windows computer. 6.) Shutdown your computer and turn off Saffire Pro40. 7.) Reboot while the audio interface is off. Go to this page. Download the latest Saffire Mix Control versions. For example as of October 2011, the latest version is version 2.4. After downloading, install this one in your computer. Reboot after installation. 8.) While rebooting, turn on your Saffire Pro 40. After reboot, you can access the audio interface using the latest mix control software. Try to play a sample MP3 using the Windows media player, you should be able to hear music coming out of your nearfield monitors. If you adjust the monitor level control directly on the Saffire Pro 40 hardware, you should also observe a change in the nearfield monitor volume level output. 9.) 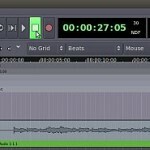 You can then configure your DAW to use Saffire Pro 40 as the recording and playback device. 1.) Download the latest mix control software first and install it while Saffire pro is still not connected and the drivers are not installed. 2.) Shut down your computer. 3.) Connect Saffire Pro 40 to your computer Firewire slot. Also connect the nearfield monitors to the audio interface. Refer to details in the previous section on how to connect your nearfield to Saffire Pro 40. 4.) Power on your Saffire pro 40. 5.) Power on your computer and while rebooting insert the installer CD. 6.) After successful booting into Windows XP, the operating system will recognize the connected Saffire pro 40 then click on it. 8.) Select “No, not this time” for “Can Windows connect to Windows update to search for software” then click next. 9.) If you see the message “If your hardware came with an installation CD or floppy disk, insert it now”; select “Install the software automatically (Recommended)”. 10.) Windows will then load and install the drivers automatically found in the installer CD. The hardware is then ready to use. 12.) After rebooting, open your DAW and configure it to use Saffire Pro 40 as the audio device. Test your audio interface by playing some songs using Windows media player.